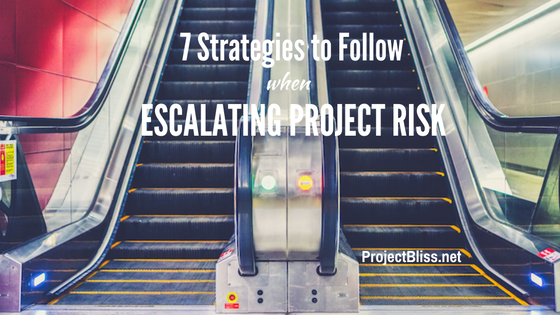 There are important points to know when escalating project risk. I’ll run down a few that can make the process smoother. Early in my career I had a job interview in which the interviewer asked me what I would do if I had a team member who would not deliver on their responsibilities. I gave information about strategies I had used in a similar situation: frequent communication, asking for commitment dates, building more rapport; and yet the interviewer continued to press: yes, but what if he still won’t do what he needs to do for a successful project? Because I was a relatively new PM, I wanted to show that I was capable of handling anything, and continued to search for strategies to get this team member to comply. I continued to suggest ways I would make it work, and she just didn’t seem satisfied with my answer. 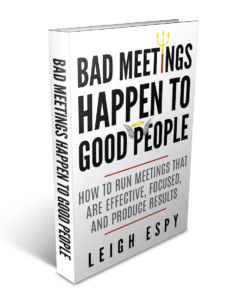 I believe now that the interviewer wanted to know if I would escalate the issue when it became clear it would risk project success and none of my strategies were working. Identifying potential risks and preparing mitigation plans is part of project planning. Risks will emerge in your project career. There might even come a point when your risk mitigation strategies are not successful. Then you’ll likely need to escalate issues to be addressed at a higher level. And when this happens, you need to know when and how to escalate. 1. Make sure your boss and critical stakeholders are aware before it becomes a risk that needs to be escalated. This can be done in conversations and status reports before it escalates to “risk” status. This way, no one is caught off-guard or taken by surprise if it becomes a bigger problem. 2. If the issue becomes a true threat to your project and your mitigation plan cannot address it, and you need outside assistance, make sure your direct manager knows before you escalate. They should already know the background of the situation (since you have kept them in the loop). Do not let your manager be blindsided by this. Have a conversation about what has happened up to this point, what you have tried, and the plan regarding escalation. It is best if you can be in alignment with your manager regarding the escalation strategy. 3. Provide information about what you have tried that has not worked, to show that you have put forth effort, and so that the entire picture is provided. Additionally, you want others to maintain confidence that you are willing to seek and implement solutions on your own first. 4. Be clear in your communication that you are seeking assistance and what you need, and not simply sharing information about an issue. Do not complain, whine, or make excuses, but present the situation in a professional manner. 5. Find out if anything is needed from you regarding the escalation process. If your management needs documentation regarding the situation, provide it promptly. 6. Continue to move forward on your project where possible, even while the risk is being addressed. 7. Stay professional throughout the situation. If escalating a risk is new to you, it may be very uncomfortable. If done correctly, it can result in a successful outcome – which is the ultimate goal anyway.